Johnson was still a student at Chouinard Art Institute when he created this mixed-media assemblage painting incorporating found materials. 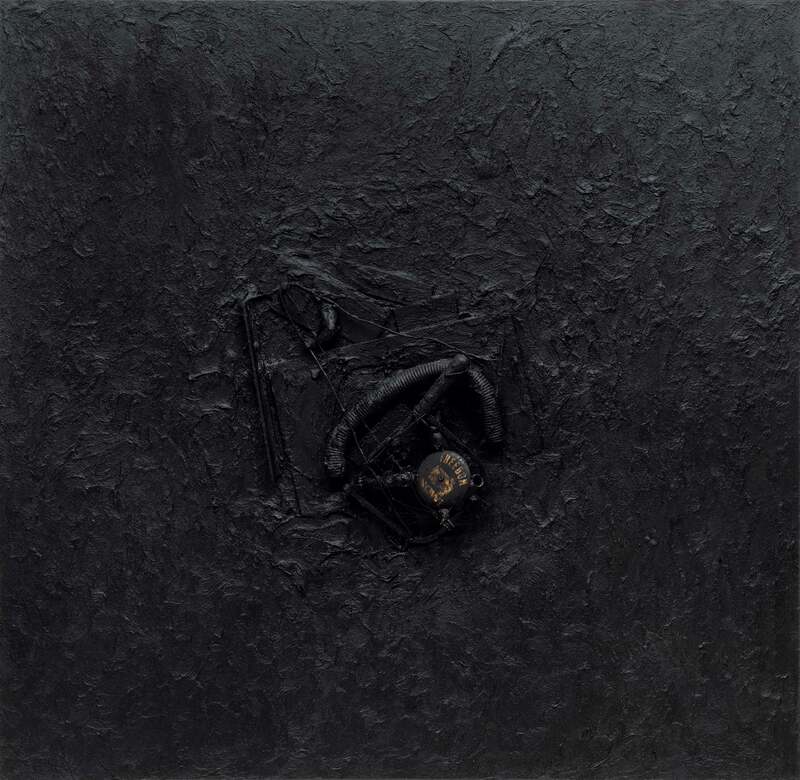 Here, as in other works by the artist, the color black takes on a symbolic importance. This work predates Johnson's travels to Paris, which prompted a turning point in his work. "Freedom Now, Number 1." Now Dig This! Art in Black Los Angeles, 1960–1980 Digital Archive. Los Angeles: Hammer Museum, 2016. https://hammer.ucla.edu/now-dig-this/art/freedom-now-number-1.